Pope John Paul II after consultation with the congregations for causes of saint, by his apostolic authority, declared that the venerable servant of God Peter ToRot shall be proclaimed as Blessed that his feast, shall be celebrated every year, on the 7th day of July. Blessed Peter ToRot is an outstanding example of family man a church leader the person who is prepared to lay down his life for God and neighbour. On the Feastday of Blessed Peter ToRot: Catechist and Martyr -first PNG Melanesian and first indigenous of Oceania to be recognized by the Universal Church as BLESSED means a lot for the laity in PNGSI. He represents the Acts of the Apostles early Christian Community thus fulfills and concerns all the issues and aspects of life from family to parenting, children their formation and upbringing, catechetical instructions and human characters and qualities, youth with freshness of life and idealism, young career and professionalism as teacher catechist, ongoing formation and collaboration with authority, bonding between formal education and cultural values, husband and father, leader and mentor, conviction and determination, grounded in the Word of Scripture and meeting of the Word made flesh in the Person of Jesus, protector of values and beauty of family life and sacrament of marriage, prisoner for he sake of Christ and interpreter between the local language and the imperial codes and signs, a Martyr and steadfast witness of the truth. A model and prototype Christian Leader important for modern times. Blessed Peter ToRot -Catechist and Martyr pray for us and strengthen our faith in the Blessed Trinity the source of all families and communities. Happy and blessed Feastday to us all. Msgr. John Ribat, M.S.C., Archbishop of Port Moresby, Papua New Guinea was born in 1957 in Volavolo, archdiocese of Rabaul. After attending elementary school in Naveo and Volavolo, he attended the Malabunga Government High School in Rabaul. He completed high school at the St. Peter Chanel High School of Ulapia and entered the Missionaries of the Sacred Heart, where he made his first profession on February 2, 1979. He studied philosophy and theology at the Holy Spirit Seminary of Bomana, and was ordained a priest in 1985. From ordination until 1991 he exercised his pastoral ministry in various parishes of the diocese of Bereina; he then followed a training course at SAIDI centre in Manila, and was Master of Novices from 1992 to 1996. In 1997 he served as parish priest and from 1998 to 2000 was Master of Novices in Suva, Fiji Islands. In 2000 he was elected to the titular see of Macriana minor and appointed auxiliary bishop in the diocese of Bereina, Papua New Guinea. He received episcopal ordination in 2001. In 2002, he was appointed bishop of Bereina. In 2007, Pope Benedict XVI appointed him as coadjutor archbishop of Port Moresby and in 2008 he became archbishop of the metropolitan see. He served as president of the Episcopal Conference of Papua New Guinea and Solomon Islands from 2011 to 2014. Since 2014 he has held the role of Chairman of the Federation of Catholic Bishops Conferences of Oceania (FCBCO). He is Papua New Guinea’s first cardinal. To promote spiritual and moral values Blessed Peter Torot lived and died for. To promote the cause for the canonization of Blessed Peter Torot. and formation for lay people. are preserved in the Archives. a valuable tool for religious, cultural and social development of the country. - enhance greater ecumenical cooperation. The Catholic diocese of Kavieng welcomed its fourth bishop on the 15th of August, 2018 with a solemn Eucharistic celebration attended by all parishes at the cathedral of Our Lady of the Sacred Heart, Kavieng. Bishop Rochus Joseph Tatamai MSC aged 55 years, succeeded Bishop Ambrose Kiapseni MSC, who was farewelled yesterday after 27 years of service. Bp Tatamai was born on the 24th of September 1962. He made his profession as a member of the Missionaries of the Sacred Heart on 2nd February 1983 and was ordained a priest on 26th November 1989. On 8th July he was appointed Auxiliary Bishop of Kerema and Titular Bishop of Accia. He was ordained Titular Bishop of Accia on 29thSeptember, 2005. On 29thNovember, 2007 he was appointed Bishop of Bereina and has completed 10 years of Pastoral Ministry in the Diocese of Bereina. At the beginning of the Installation ceremony, the Apostolic Nuncio to Papua New Guinea and the Solomon Islands, Archbishop Mathew Kurian Vayalunkal, read the pontifical decree turning over the diocese to the pastoral care of Bishop Tatamai. He then received the pastoral staff from his predecessor and was accompanied to the cathedral episcopal seat by Cardinal John Ribat MSC, Archbishop of Port Moresby, and Archbishop Francesco Panfilo, SDB of Rabaul. The coat of arms of the new Bishop of Kavieng was unveiled bearing the motto: God wantaim yumi. 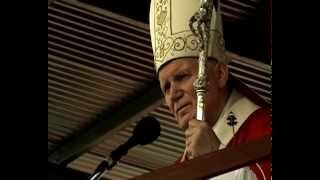 In his message after the liturgical readings, Bp. Tatamai recalled his familiarity with the diocese having served on various occasions as a replacement for the ailing Bishop Ambrose Kiapseni. He then connected the event to today's feast of the Assumption of Mary. "Through her God made contact with us. The creature became the mother of the Creator", he said as he addressed the congregation. “As Mary could not immediately understand God's plans, so too I have often been taken by surprise by my pastoral appointments”, said Bp Tatamai. In Kavieng, Bishop Rochus Joseph Tatamai, who is also the current President of the Catholic Bishops Conference of Papua New Guinea and Solomon Islands, takes over a diocese of 26 parishes spread among the islands of Duke of York, Manus and New Ireland. There are 22 diocesan priests and 3 deacons. Major social concerns concern the more than 300 international refugees still left without resettlement in the island of Manus. Another concern is the seabed mining project being planned just 30 km off the shores of New Ireland. Our weekly Churches Television Magazine. Broadcasted every Sunday 7:00pm on NBC PNG TV. God chose you to serve his people as a catechist. You took delight in your work and performed it loyally. You strengthen your people’s faith and did not abandon them in time of intense suffering. We rejoice that God has chosen to favor you as the first martyr of Papua New Guinea. We pray that through your intercession we may persevere in time of trial and courageously profess our faith. Amen.